Artec Co., Ltd. was founded in 1960 as an educational arts and crafts manufacturer and now, a little over 57 years later, stands as a leader in the educational field. Our line of over 9,000 products are sold through 3,000 distributors all over Japan, from kindergarten to college. Since 2011, Artec conducts business in more than 40 countries spread across continents. Artec’s products have also won world awards, such as two of the most prestigious awards (Top Toy of the Year Award and Best Pick Winner) in America and the Golden Pin Design mark in Taiwan. Artec is also very concerned about the quality of the products by following various World Standard Excellence such as Japan, the European Union, Korea, Russia, and America. Artec's mission is to provide quality educational tools to draw out a child's creative spirit. Artec Block is the world's first block/brick for learning and/or playing that can be connected freely from any direction, either vertically, horizontally or even diagonally. Artec Block has won numerous awards, including; Creative Child Awards, Dr. Toy's Awards, Good Toy Awards, and Golden Pin Design Awards. 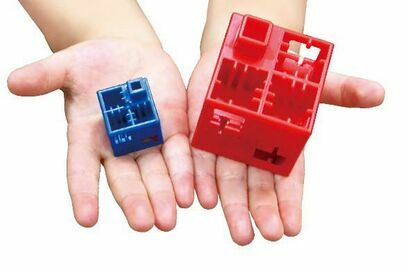 Artec Blocks broaden children creative mind. While repeatedly building and rebuilding the block models, children creativity and inspiration are stimulated and nurtured to be amazingly limitless almost in all aspects, such as Science, Technology, Engineering, Art, Math, etc. Artec Robo is a combination of creative freedom from Artec Block, with easy and simple "drag and drop" programming from Studuino. 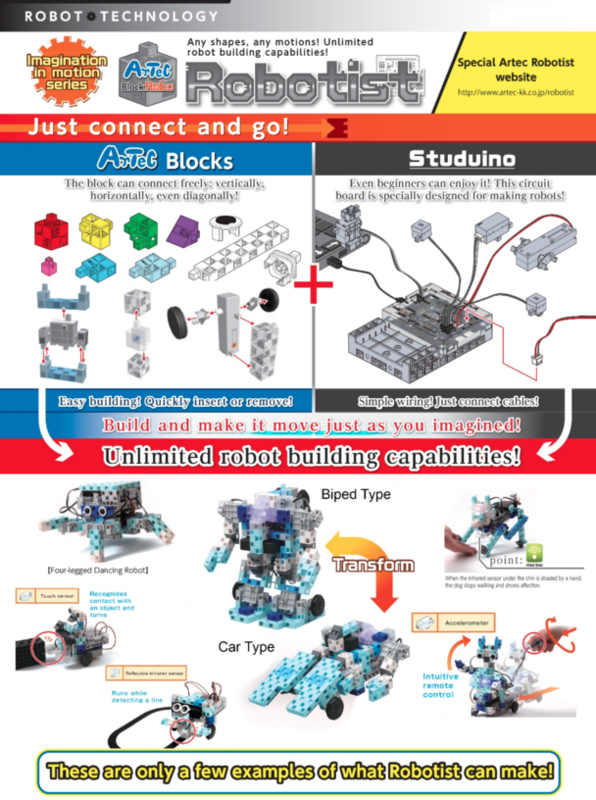 Studuino is a complete programming package for the modern classroom, consist of circuit boards that specially designed to make robots and various sensors such as infrared, LED, accelerometer, etc. Studuino is also designed to teach programming, simple and easy to use, and has an international standard and outstanding quality as well. Covering and focus on STEAM (Science, Technology, Engineering, Art, and Math) Education. Easy-to-use building elements (patented Artec Blocks). No connector for maximum ease. Building and programming within one lesson. Multitude of sensors, motors and LEDs. Curriculum and teaching materials that relevant to the real world and daily life. 1. Developed for children age 4 – 7. 2. Applied Learning, We live in a society that is both rich in information and alive with technology. In societies like this, the ability to understand and reproduce information, or combine old and new knowledge is a cornerstone of effective learning. The Artec Logical Kids Program helps to nurture a child's mental flexibility and logical ability while they have fun playing games and puzzles! 3. 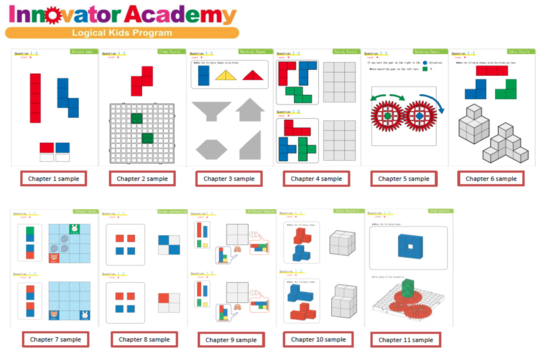 A Great Tool for Learning Math Basics, Cube blocks are great tool to understand the concept of numbers, weight, mass, and other mathematic fundamentals. 4. Nurture Concentration. Relying strictly on written materials in the classroom can make it difficult for student to focus on the subject at hand. It's been proven that the largely non-visual abstract ideas and logic dealt with in mathematics can be taught much more effectively with the use of physical study aids. 5. Unlike the memorization-style education of the 20th century, the 21st century-style education focuses on the development of the capacity to think and apply one’s knowledge. 6. 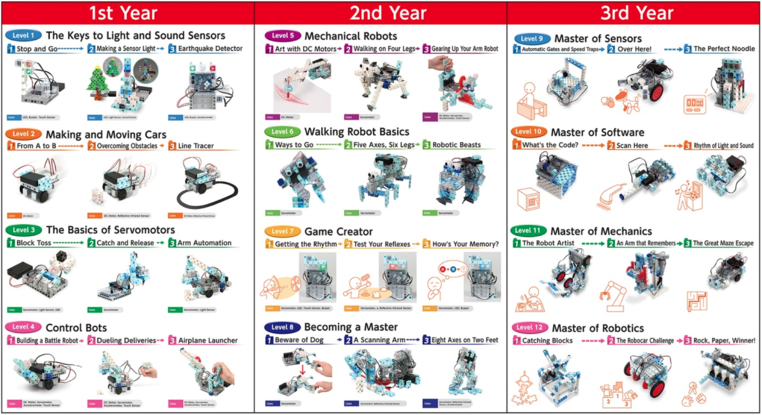 Artec Co., Ltd. is proud to introduce our most recent solution to help young children to develop such skills. Consists of 11 chapters. Each chapter consists of 4 fifty-minute lessons. And each lesson has a total of 10 pages filled with competitive challenges and exercises. This allows utilizing classroom time to the maximum, not spending hours trying to assemble a mechanism. Our circuit board, the Studuino, is a modified version of Arduino that not only allows the absolute beginners to start building their robots right away using a unique Plug and Play system easily, but also provides for compatibility with Arduino and any Arduino-compatible parts available on the market, eliminating all possible barriers to expansion and creativity. Our solutions are already being utilized in hundreds of schools in over twenty countries all over the world (Australia, UK, USA, Spain, Hungary, Singapore, South Korea, Japan and many others). a unique building module system that allows creating complex models ten times faster than any systems out there. 1. Developed for children age 8+. 2. The perfect solution for teaching robotic and programming. 3. Using easy-to-use systems and modules. Build robots with complex joints easily. 4. Artec Blocks' unique shape lets you design a robot the way that YOU want to. 6. Learn the hidden logic and basics of the world's machines and robots. 7. Comprehensive and in-depth guide and curriculum. Up to 3 years curriculum consisting of 8 levels with 40 90-minute lesson in total (and many more to come). 8. Naturally nurture logical thinking while you program! 9. At Artec, we understand the importance of making education relevant to the real world. This is why our curricula concentrates on learning and understanding the application of coding and programming in everyday life. 10. The curriculum includes detailed guidelines for teachers and is also equipped with complete manuals for students. Step by step, complete, comprehensive, and in-depth world class curriculum. 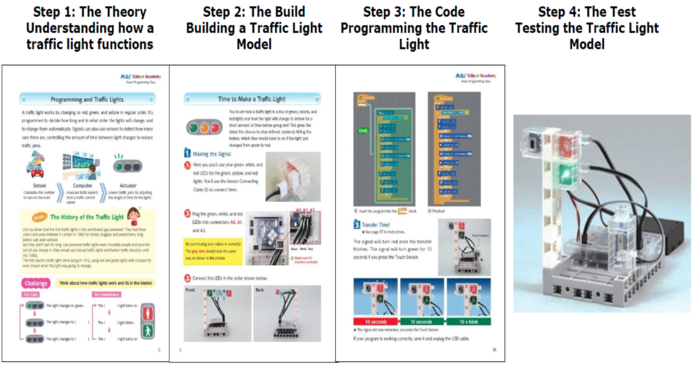 Relevant to real-life every day example; "Programming the Traffic Light".